The structure indicated is the medial cuneiform bone of the foot. 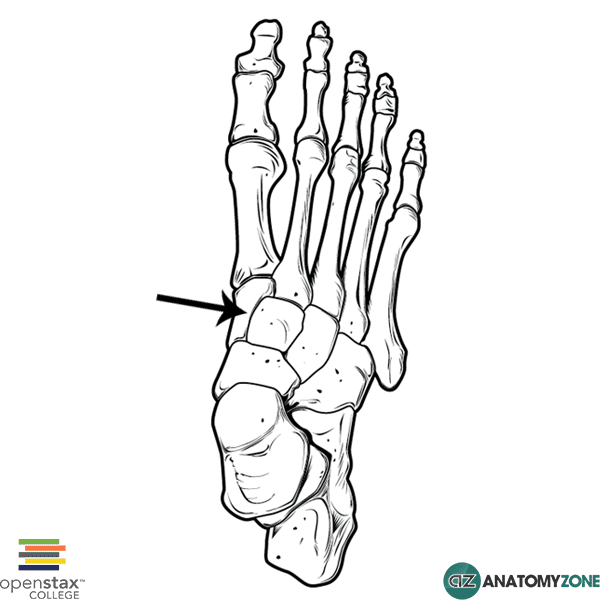 Anteriorly they articulate with the medial three metatarsals. Posteriorly they articulate with the navicular bone, and laterally they articulate with the cuboid bone.